In 2003, the Department of Mathematics and Statistics moved into this historic building. Geometry and Topology involve understanding the shape of space. Geometry deals with quantitative properties, such as distance and curvature, whereas topology deals with more qualitative properties. The two subjects are closely related and play a central role in many other fields such as Algebraic Geometry, Dynamical Systems, and Physics. 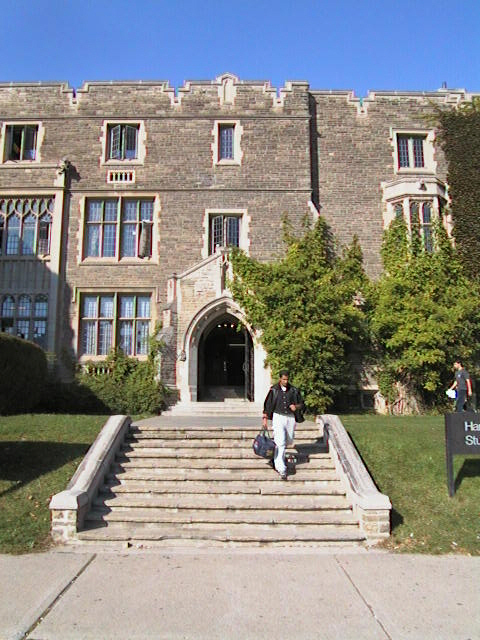 At McMaster, there are three broad areas of interest: Differential Geometry (curvature, Dirac operators, Einstein equations, general relativity, geometric analysis, and sympletic geometry); Algebraic Topology (homotopy theory, K-theory, surgery theory); and Geometric Topology (group actions on manifolds, gauge theory, low-dimensional topology, symplectic topology). Graduate students, postdoctoral fellows, and faculty members interested in geometry and topology are encouraged to participate in our two weekly seminars and other research activities. Prospective graduate students with an interest in geometry and topology are urged to contact the graduate secretary for application information. If you wish to learn more, please contact one of the faculty members in the geometry and topology group.